OK, I'm not sure if this is for real, but it looks like there is a new lively - we are still very cautious and not sure if this is OK, it may be spam. What on earth is an Ideation Nation? First let me say, I'm so excited about The Flatclassroom Conference that words cannot express them! This conference is a three year dream and I'm so grateful for Julie Lindsay, Qatar Academy, and HSBC Bank for making this happen. I truly believe this is going to be a monumentally transformational experience both for us and for education as a whole. It is about empowering students, empowering educators, and using technology in powerful ways that make sense in ways that promote learning. Interactivity, engagement, and pushing conferences to truly become participative. We're working to get materials to you so that you'll be ready, but the first thing to do here is to PARTICIPATE! Meet others, blog your reflections (as I'm doing) - share your photos, ask questions. You'll get so much more out of the conference by interacting with people BEFORE you get there! You will take the current knowledge and experiences of the students and teachers who have participated in the past Flat Classroom projects to envision the future of education, discuss the best ways to use Web 2.0 technologies and design a global project around a social issue. One of these projects will be selected and scheduled to run in 2009-2010! We’re not just here to talk; we’re here to discuss how these technologies can improve the world as we know it today! We’re here to act and we believe that something truly special will emerge that none of us as yet can understand. 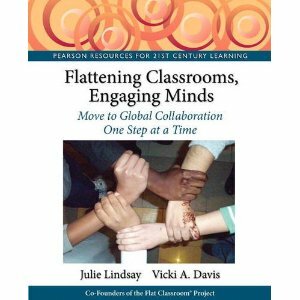 Our subtitle is "Citizenship in a Global Elearning Economy" because the "flattened" nature of classrooms is truly developing an elearning economy. This is an example of an elearning economy taken from what transpired this year in the Flat Classroom project. In the Flat Classroom project, for example, the teachers work to create the templates for the project, the students then are split into teams and create wikis and share discussions on the Ning. Expert advisors share with the students and give them advice and tips on tackling a subject. Some of these expert advisors are there to learn from students, some are PhD students, others are preservice teachers -- so they are consuming the knowledge created by the students as well as adding to the knowledge and direction of the students. The "judges" are educators, preservice teachers, leaders and researchers in the educational community and some in the business arena. These judges review the student videos and LEARN from the students. They also provide feedback to the students and "judge." By viewing these projects on a micro level, these judges often go on to start their own projects or to learn from the process and propose and determine improvements that need to happen in the student learning process. Again, they are producers of feedback and information to both students and teachers AND consumers as they learn from the content they review. At the conclusion of the project, students present their findings and learning in elluminate in the student summit. People from around the world are invited to join into these summits to ask questions and participate. Through their participation, the students are pushed to express themselves, defend their ideas, and think through proposals. Simultaneously, the people from outside the classroom are learning from the students and formulating their own thoughts about the practice observed in the summits. All of this material is used as the starting point for the next project. Student videos that win awards are shown to the students who start the next project, which then pushes the level of video making to higher and higher competency levels. The elearning economy means that we are the audience of one another -- we are all producers and consumers of information and combine it with our prior learning to create new knowledge. When schools participate in projects with a vibrant elearning economy - there is a variety of audiences and each participant reads and writes to the project as producer/ consumers (called a "prosumer".) We need each other, learn from each other, and share with each other. As we move towards collaboration on a massive global scale between many classrooms... two or three here -- 10 or 20 there in projects like Flat Classroom, Horizon, or Digiteen - we are becoming increasingly independent because we need each other to help provide the immersive experiences that help us understand culture and collaboration in a way unlike any other. The global elearning economy is just emerging and we are citizens. What does this mean? Well, that is what we'll be discussing. Our wiki will produce the thoughts and opinions of the conference participants both virtually and face to face. Because this is not a conference just about learning but about creating thought - sharing with others, learning, and producing information for others to learn from as well. We will be part of an Ideation Nation: Students and Educators learning about current trends and sharing our thoughts to help move us all along the learning curve towards better global educational practice. So, welcome citizens. Let's do great things together as we formulate and discuss the evolution and economy of learning. We're all in this together. This is a simulpost with my Flat Classroom Conference 2008 Ning. You can get so many books on your iphone - just get the stanza app and then sign up for a feedbooks account to set everything up. This is great! A link from twitter from rorowe (http://twitter.com/rorowe) on twitter about how to sync Gmails and calendars w/ the itouch. Plodding through this to see if it is what I want to do. I actually looked at this and am synching through Outlook for just my personal calendar and then accessing google calendars as a web app over wifi. So, I'm just going to set this up for the contacts for now just to get them on my itouch. Nice blog post about some great apps for the itouch. Will be writing more on this next week, but this is a great post! Pinch media delivers the top free apps for iphones every day. This is their feed. If you just got an itouch or iphone - this is a great place to take al ook. 50 free apps. Maryanne Burgos does a nice job of comparing microblogging tools in this post. The conversation from David Truss' blog continues - very nice post from Betty at Betty Online. Another twitter desktop client. I still LOVE tweetdeck, but would love to know if any of you are using this. In this day of me me - personal branding - this post on humility stands out like a beautiful palm tree on a deserted island. It is a great post to ponder. List of people who made their mark - this list and the people to watch in 2009 make interesting reading for ALL leaders and much of their work is influenced by their work in WEb 2.0 and social media. This is a great read -- I particularly think that Constant Partial Attention (CPA) is something that we should be aware of in our classrooms. Excellent article. Also I find it interesting how he shares that some kids who have gotten constant positive reinforcement in schools are going to have a tough time w/ competition. Competition is part of life. If you're decorating or working with art projects - this is a great list. YOu can now search Google images by style - some educators think this could make image searching safer. Tweetstats lets you look at your statistics on twitter. 25 Traits Of Twitter Folks I Admire and 25 Folks Who Have Them - Liz Strauss at Successful Blog - Thinking, writing, business ideas . . . You’re only a stranger once. Great blog post by Liz Strauss on the 25 traits of twitter folks I admire. Just finished reading an amazing book by Philip Yancey, What's So Amazing About Grace? and as I ponder the year, I'm just so thankful for grace. Grace is not getting what you deserve. It is receiving forgiveness when you should be condemned. It is about giving forgiveness when people don't deserve it. And it is something we all need. As I ponder the year, I could contemplate on that time I posted a blog post about a vendor that had done something terrible to me. (I regretted it and unposted it but I still did it.) Or the times I was only seeing the end of my own nose and not noticing when someone else was having a tough time. Or the kid that was upset and I didn't catch it until later? Or how about the (multiple) times I was crabby and fussed at my children a little too much? All of these things upset me. And then, I read stories like this one of a great man named Ambrose. I've paraphrased the story below. Ambrose lived from 339-397. He is one of the most amazing stories of a GOOD clergyman that you can find. Elected by the people before he had even been baptized, Ambrose fled to a friend's house and wrote a letter to the bishop to be excused from service. But, when he finally accepted his calling, he sold all of his large estates and possessions and gave them to the poor. But this story that hits home with me today is how Ambrose stood up to the emperor Theodosius. Theodosius stayed in Milan and often attended Ambrose's church (he was an eloquent speaker who attracted many.) There was a riot in Thessolinica and in a fit of rage Thedosius ordered the massacre of over 7,000 men, women and children. Ambrose wrote to Theodosius that very week and received no response. But, when Theodosius came to church that week, Ambrose was standing in his way and would not allow him to come in or take communion. He confronted the emperor about what he had done. Theodosius said, "David murdered and he was forgiven." Ambrose said, "Well, you have imitated David in his sin. Now imitate him in repentance." Later, Theodosius confessed this sin to the whole church and instituted a 30 day cooling off period before sentencing death to anyone -- HOW MANY PEOPLE DID THIS ONE ACT SAVE? Lest you think there was animosity between these two men, Theodosius said, "Ambrose is the first man who told me the truth. He is the only man who is worthy to be a bishop." When Theodosius died, he passed away in Ambrose's arms. So, why did I tell this story and does it relate to everyone, even non Christians? Yes. It surely does. This is what is so beautiful about this story to me. Ambrose's ability to love, be kind, open, inclusive, intelligent, loving, AND confrontational on the issues that matter while still retaining relationships with the people that he worked with. The fact that all of us need it and so few of us give it. We all have the things we hate that we do. For me, I have so many weaknesses and these past few months as I spent time on my face, begging for God to heal my mother, (praise God, He did heal her) my weaknesses and faults seemed so HUGE. My goodness, I mess up. But you know what -- other people do too. My students mess up. You mess up. We all do. I think the thing I hate most about elections is the assassinations. Character assassinations, that is. I really don't know of any human being who is totally evil incarnate. I'm sure they are there, but really, most people who are public servants, teachers, edubloggers, or whoever are just really trying to do their best and want to make a difference. It is tough to stay at a school for longer than about 4 years, because by that time, you either have to decide if you're going to forgive the hurts and wrongs from the other administrators and teachers. But you also have to decide if you're that you've done some wrong things too. Character assassination hurts. It is wrong to do. To impune the motives of another when you do not know them. To demonize the wrong they have done and extend that to the person of who they are is just wrong. This sort of thing causes many to leave the blogosphere -- you've got to have a thick skin to stick it out. Because one thing I can guarantee, is that sometimes you'll phrase things the wrong way. Sometimes you'll link to something and realize later that you shouldn't have. Sometimes you'll hurt someone's feelings either intentionally or unintentionally and they'll never forgive you. Sometimes you forget to thank someone. Sometimes you'll sound or actually be arrogant. Basically, your humanness will eventually emerge and you'll MESS UP! You'll need your readers to forgive you, your colleagues, your admin, and your students. You need some grace from others. So, this Christmas message from me to you is to give Grace this Christmas. Unforgiveness is like strapping a dead body to your back. You can never do or be what you really are meant to do - and you know what - usually the person you haven't forgiven doesn't know or doesn't care that you were hurt. Unforgiveness doesn't hurt them at all - only you!!! Forgiving people gives YOU freedom moreso than them. Grace is delightful - it is my daughter's middle name and my deceased mother-in-law's first name. I find it fascinating that when I do the "full name" verbal sleeper hold with my kids that my daughter's middle name jumps out at me like a spear. GRACE! GRACE! Forgiving people is not something many want to talk about. But I'm not one who believes that a person can make one mistake and forever lose their relevance. Mistakes are what we do. In a world that never forgives, never forgets, this is what Christmas means to me. It means grace. It means that I can be forgiven and live life without carrying that burden of pain. It doesn't mean life is perfect but means that I can connect to perfect wisdom for my life. The tough thing about Christmas is that many Christians do not show the grace we're intended to show. I for one, cannot condemn them either, because certainly this is something I fault myself for. "Of one hundred men, one will read the Bible; the ninety-nine will read the Christian." Oh, how sad. For in our society's desire to assassinate others so that we may feel better about ourselves - we assassinate whole religions, people, parents, students... and yes, teachers. And this, my friends, is wrong. To me, the irony is shown in the US Congress right now. A congress that has demonized the auto industry and the financial industry execs for their greed in tough times. "How can you give yourself a bonus when your business is floundering?" said Congressmen as they cajoled execs into taking $1 in pay this year as a symbol of the austere times. Those same Congressmen took the time to vote themselves a pay raise last week in a sign of utter hypocrisy that has people in both political parties with their stomachs turning sour. Congress criticized others for the sin of greed, when they themselves are also greedy. And that my friends is the point about needing grace-- NONE of us is perfect. Sometimes arrogance most bothers those who are arrogant themselves. "Beware of pointing fingers lest you have three fingers pointing back at yourself." For those of us who are Christians, we must forgive so that we can be forgiven. For those of us who are educators we know that we work in imperfect situations with imperfect curriculula, imperfect kids, and imperfect classrooms and that forgiveness and learning is part of what we do on a daily basis. It would be that we would pursue the year in a spirit of attacking problems with hard work and not attacking people who are working hard. We need to pick up, move on, work hard...and we need a healthy measure of grace. Grace to move on after we've messed up. And most of all grace in forgiving others when they mess up BEFORE demanding that others do the same for us. As for me, I am thankful for a Christ who loved me enough to die for me and my sins when He was perfect and didn't have to. I am thankful for my friends, family, and husband who know my deepest faults and love me anyway. And I'm thankful for Jesus Christ, my best friend, dearest confidant, and the one who will walk with me through the valley of the shadow of death and beyond - long past when these fingers cannot type the keyboard to you. Grace is a glorious thing. And with all the messing up I've done this year, I am thankful for the grace of God as well as the grace of the readers here. "If you're not like me and don't agree with me in all ways I'm going to close my ears and say "na na na na na I can't hear you," like Johnny did in first grade." And then, there are those who welcome Atheists, Christians, Muslims, Hindus, Buddhists, male, female, white, asian, african american, hispanic, and all types of people diverse from their own upbringing into their reading and learning circle. Grace to know that you can disagree with a person on some things and yet, agree on others. Grace to know that no person is wrong all of the time and that many beautiful things can be learned from all people. Grace is a good thing. And this Christmas, I am glad for Grace. Kotter from Flat Classroom w/ contribution from students from MICDS in St. Louis -- the Interview where they discussed the UN involvement is incredible. A nice blog for teachers who work with literature and reading - Rhondda does a nice job of compiling information and links. Well organized blog. Yahoo! Glue - all you need, all in one place. Mary Ann from Web 2 Tools for the Read / Write / Web shares a new tool I haven't seen, "Yahoo Glue" -- it lets you organize things together on one page - nothing to download. Looks fascinating. She shares a sample here as well. Very nice summary of what TeacherLibrarian is doing to "find her voice." This includes some great tips on blogging as well. Well done! 2008 awards were so suprising to me. Thank you to those who voted for Cool Cat Teacher for best teacher blog and the Flat Classroom project 2008 for best educational wiki. Thank you so much! So many great award winners here AND great people who were finalists also. There are many new gems among the finalists and I hope you'll take time to look there as well. Interesting perspective on "retweeting" - actually although it is great to have some people to retweet, I really think the organic effect of many different people retweeting that has the effect and that is very hard to measure. 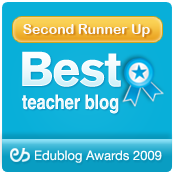 Thank you to everyone who voted in this year's edublog awards. I was driving to Atlanta and back yesterday and missed the awards podcast yesterday. This means so much to me -- this blog has been nominated three times and this is the first win. Thank you so much! It really means a lot to me, but again, as I said earlier, the real winners are the nominees. Find some great teachers to read here! I don't think we could ever have enough teacher blogs! And the Flat Classroom project 2008 received the eblog award for best Wiki. "-I do not really care where our next virtual world is.I think that if we have to explore our next world like we did Lively it will be just as easy if not easier. 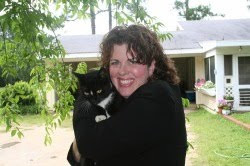 I know that Mrs. Vicki will make the right decision for our class when we find a virtual world." These students mean so much to me. And these words from Sydnee are greater than anything anyone could give me. Thank you Sydnee for the Christmas gift. Great post from David Truss on unintentional gender bias in the edtech community. He got me gong on the comments! I appreciate what David writes -- always very insightful. One of the things I wish the kids DIDN'T think about blogging. "The way that you can be an affective blogger is to say bad things," said Brady on his reflection. Why does he and others think this? the protest held in Lively. They got more links, more "press" and more response on that than anything. Don't get me wrong, I appreciate those that wrote about their issue and helped call attention to the issue. Now, what does that teach them about the real world? That educators care about the fact that students think is a great teaching tool? That they really like Lively and find it easy to use? No, they "reward" them for protesting - they give them notice for that. Perhaps the best event we had was today, in private, in our "Stairway to Heaven" where we said goodby to our avatars and jumped into the water and exited - I guess sort of symbolically "killing" our own avatars. And yet, there will be people more upset at our simulated suicide than the fact that Google is killing these avatars on December 31st. I mean, how dare we? So many are upset about today's generation and yet - how much of it is the fault of our own society that notices and rewards "bad" or "loud" behavior and ignores those who quietly call our attention to things we should listen to? "If I'm lonely and feel unnoticed, if I get attention for being bad, at least I don't feel invisible." Notice the quiet kid in the back or the one who does something good and in 2009, for me, I want to pay special attention to the students - both mine and others who speak their mind. Reward for good behavior. I'm not saying it is bad that the kids planned a protest - but that was only about 5% of what they did for the project -- why on earth is that what everyone noticed? Why did they criticise them for that and not look at the good things they did? The positive behaviors? It was a great "sidetrack" - they learned more in a week and a half of blogging than I could have taught in a month. And yet, now, I wonder as I wander through these Ning reflections if I really like what society has said to them. Is it wrong to let students try? Is empowering kids the WRONG thing to do? Twitter is removing "spammy" followers and if you're on twitter you may see a big drop in your followers. Don't be alarmed, it wasn't anything you've said. Gotta think some people may be legit though. Share your work at NECC unplugged if your proposal was rejected. Edubloggercon is on Saturday also -- so, share away! The only person who can keep you from sharing is your own self! Over the next days of break, we've scheduled student reflections on the Digiteen Dream Team and the protest of Google lively shutting down to post on the Dream Team Blog. As part of their reflection, I asked the students to tell me if the protest was worth it since Lively is still shutting down and Google hasn't responded to their requests. "I feel that our efforts were worth all the trouble we went through. We had people say mean things about us but we kept going. I learned to not let other people's opinions keep me from doing what is right. Some people think that we should not teach others about digital citizenship because they think it can be taught in twenty minutes and that it wont help. But the fact is that more and more people are using the internet and if they dont know how to use it properly, it could be dangerous." My goodness, such wisdom for life and for so many things. Hope you'll continue to respond to the students and their thoughts. There are so many other digiteen dreamers out there who need to be unleashed to share their passions with the world. It is not too late to share the message about Google Lively. It is a great world and it is a shame that it is going away. I wish Google knew that and would listen to those who've taken the time to compare the worlds. It took 1 day to have my students creating worlds, working with avatars and creating content. We're struggling w/ OpenSim and will learn it, just don't know that I have the time. NECC 2009: Don't let rejection or acceptance go to your head! I just want to tell the people who were "rejected" what to think about rejection. Rejection has been a part of my life for as long as I can remember. The lonely girl in the back of the room (put there b/c she wouldn't dare talk to anyone) -- made fun of, hurt, and wounded most of the time. And yet, through this, rejection has taught me something. My self worth comes from me and service to the audience of One. I am a person made in God's image with a purpose and a plan and rejection hurts. WE all want to be "accepted" -- we want to be included. We want to be valued and considered important. To me, since I've become a teacher, I find this desire to be valued rear its ugly head way too often -- because, I think that as a teacher, we're often islands working with students who don't even thank the parents who feed and clothe them! Most are undervalued and unappreciated at their schools and so, we want SOMEONE somewhere to notice the pain and heartache of pouring one's soul into every day. So, then, we finally have acceptance of the edublogosphere, and then, we get the nerve to try for NECC. And "Bam" -- no we don't want you. No matter how they phrase it, no matter what they do -- it hurts. It stings like salt water to the eyes. NO matter what anyone says, we lay there at night wrapped up in our blanket and feel alone and lonely. And if you're on the side who is "accepted" - I can tell you this -- don't let it go to your heads. Because if those who have been "rejected" are worth their mettle, they'll let this "rejection" stoke the fire to receive greater and greater excellence. The only way to permanently fall is to not get back up. To me, those with the most greatness often go through the greatest rejections of life. And amidst those rejections, they pull themselves together, refocus their understanding of why they've been put on this planet, and go on to achieve more than they every would have if they had been "accepted." To me, rejection has been both my fuel to be more as well as a branding iron on my heart. It is your choice as to what you will do with it. "You can't go on a guilt trip unless you pack your own bags. You don't go to a pity party unless you make your own cake." Now, are you going to let the amazing things you've done throughout your life be defined by this one thing? Are you going to be bitter or are you going to be better? Are you going to pack your bags and make a cake -- or are you going to just get up, dust off and do the real work you have on your desk right now! Some might say, "that's easy for you to say, you got accepted." Well, you know what - when I started I got a lot of rejections and still do. I get more rejections now than ever - but that is because I try to do more things. Nothing, I mean nothing, makes it easier. Someone said something so unkind about me on another blog last week, that it literally almost ruined last Saturday. "Vicki, who is this person? They don't know you! You don't even know if that is their real name! They can say whatever they want about you and don't even care. How dare you let that bother you. Get over it! You have a life to live and a family to raise and if you're going to let strangers bother you, then you're going to have to go offline permanently. If you're doing anything worth doing - some people will like you and some won't, get over it." Ok, so, that is what I'm telling you. No selection process is perfect. And don't you dare think that acceptance or rejection of your proposal gives you any validation as a person. If you are an educator worth your salt, you're here for the students - the kids. You're in this because it is a calling to improve the society of the future by reaching out to, encouraging, and helping the generations of today. It is a thankless job today but you leave a legacy -- and that, my friends lasts. So, brush off the dust of this rejection and move ahead to something else. Keep trying, keep sticking your neck out and realize that in order to make any difference in this world, you've got to take a lot of lumps on the ole noggin. IF this is about what you're doing and not your own need for affirmation -- move forward and focus on the mission. Teaching, parenting, and blogging can all often be lonely, but we have some very important work to do here. Don't you dare let this NECC rejection make you curl up into a ball and retreat from the world. We need you! We need each other! And those who got accepted, again, better not take it for granted - it is a gift. Serve well and keep your wits about you and your ego under control. Arrogance has always been the great enemy of learning and one that we all have to struggle with sometimes. Best wishes to all of my amazing friends and inspirations out there. As mama also says, "Keep up your chins!" And go on to make the unconference and edubloggercon something special that people will talk about -- so they'll say, "now who was crazy enough to say no to ___." (fill in your name) And remember what it is like as next year for 2010, we all may be singing a different song - me included! Tips for Writing Your NECC Proposal: Submissions Open today! Steve Hargadon - Stressed over NECC rejections? Don't Be. Great resources for teaching the periodic table. My students spent yesterday talking to the Tenacious Teacher - this is the podcast. Enjoyed reading Time Magazine's top 10 buzzwords -- #9 - Tweet. Birds eye view of the island that the digiteens are planning to use on reaction grid. This is made possible by an amazing person who believes in their vision - Trevor Meister. (I'll be blogging more about what has happened with this.) This sends the message to the students that sometimes a closed door presents a better opportunity down the line. I love this video - especially, the "I've got a golden download," part. Few people know that Julie Lindsay and I have a new right arm. An educator who has come along side us to help with the dream of promoting global collaboration between students on a massive scale. Steve Madsen from Australia just stepped in and volunteered to help us a while back and has been one of those mind readers, I'm here to help, I'll do what it takes kind of people that permeate the grassroots sorts of projects that so many of us are joining now. People like Steve are the glue that holds projects together and the grease that makes the wheels move a bit more rapidly. Steve is amazing and has tirelessly helped us with "wiki cleanup" (when the wiki strains to hold up under lots of editing, sometimes we end up with things deleted that shouldn't), judging, scheduling meetings, providing feedback and assistance to other teachers, and stepping into the leadership role when Julie or I are out. 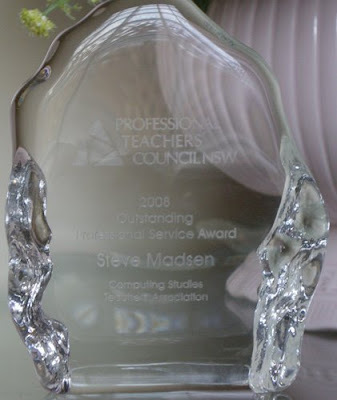 And what Steve would never tell you is that he just received some very prestigious awards, so I'm telling you. 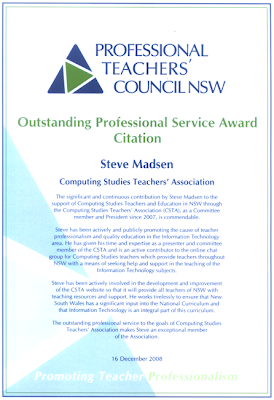 Steve is the President of the New South Wales Computing Studies Teachers Association and just won a professional service award citation for his service. I hope that as you think about your projects that you participate in, that you'll think about the silent heroes - the glue, those who quietly help and assist. Pick one (because as with these projects, we have many) and then just let them know how you feel. Thank them publicly-- thank your silent hero. Thank you, Steve, for jumping in to help. For volunteering to assist us and for just making things run so much more smoothly. You deserve all of the good things that I think will most certainly come to you in the future because as we say here in the American South "You know your stuff." Thank you, from the bottom of my heart for working so hard and never asking for or expecting any reward except to further "the cause." Thank you! Fascinating video from a flat classroom student -- I love the scene with one student on the moon talking to another in the clouds. This is an excellent work from Heather in Kansas. Google and Twitter are now becoming connected via Google Friend Connect. Facebook notification is a binding document in Australia. Shows the evolution of mail. Session management for gmail lets you know how many places that you are logged in. With class ending this week, my students want to once more go into Lively to express how they feel about this great service. They love it, although we are moving ahead to explore other options (which we'll announce in January) -- so, they want to have a virtual funeral for Lively which will happen this Thursday. Just check their blog and read this post from the students about what they are planning. Again, this is a student driven project - they are currently reflecting on this process and will be sharing their thoughts about whether the protest was worth it and what they have learned. Stay tuned, the Digiteen Dream Team is a great student blog that will continue! 2¢ Worth » So Now What Do We Do? Excellent post for advocates of Web 2.0 to read from David Warlick - to answer the most common complaints. Excellent writing and well worth the read. As shocking as it seems, an Australian couple is being served legally via Facebook after all other attempts to reach them for defaulting on their loan have been exhausted. "The Australian Capital Territory Supreme Court last Friday approved lawyer Mark McCormack's application to use Facebook to serve the legally binding documents after several failed attempts to contact the couple at the house and by e-mail. Australian courts have given permission in the past for people to be served via e-mail and text messages when it was not possible to serve them in person." Another example of how online spaces have offline consquences. We have our physical space and our online spaces but both, are REAL. Some people make the mistake of saying "real" to talk about the physical world - that is a misnomer - real life is made up of physical spaces and online spaces inhabited by humans. This will be an example that we discuss in my class next semester. Today at At Tuesday Dec. 16 3pm EST, 8pm GMT and 7am Wednesday for Australia we will be in Elluminate for the Awards ceremony for this year's Flat Classroom project. How many movies can you name? I had a great conversation at the local coffee shop with the owner, who is an amazing professional dancer. We were talking about the beauty of dance and he made a comment that so interested me. "Dancing with a live orchestra is one of the greatest thrills of my life. What most people don't realize is that the conductor watches the dancers and conducts the music to synchronize with the dance. The conductor is a dancer. Just as much a dancer as those on the stage." Then, I thought of the duplicity of roles in my own life. The administrator is a teacher. Part of the process, watching the environment, coaching everyone to move towards a common goal. Making the learning environment sychronize with a unique staff of unique students. "“It is the supreme art of the teacher to awaken joy in creative expression and knowledge.” Albert Einstein"
Supreme art of a teacher is to awaken joy? You are artists. Your job is to awaken a joy for learning. So, says a brilliant scientist and many other educators who know this in their heart. Ah, how far we have fallen from the art and beauty of much that has made teaching great. And yet, amidst the testing and tough times, the truly great teacher artisans are still those that capture, and continue to awaken that joy and experience it every day. Never lose your wonder that you have students to influence and help. And take the last moments before break or the first moments starting the next period to awaken joy. Never forget that the first step to awakening the joy of learning in others is to experience the joy of learning yourself. You are an amazing artisan of joy with a noble calling. And although a king may fall in the mud and be trampled, tis nobility of the heart that determines his kingship. Do not let what the world says about teachers get you down -- you have the most noble calling on earth. Hold your head high and celebrate it this season! Mashing video and wikis into an educational mashup of sorts. Fascinating link and overview of cultural historical view of teaching geometry. From the blog of a professor in Norway who is following mathematics education research. Math teachers - this is for you! Cool research rocket tutorial from the Kentucky Virtual Library -- cool cool cool cool! Great information literacy tool!!! More educators speaking out about Google Lively! Yes! How to get rid of information for good - not as easy as you think. the problem is that nasty little digital footprints with your full name - even if NOT left by you can influence your life FOREVER. Good information to share. Another reason, digital citizeenship IS an issue.